There will come a time when people can’t personally handle their transactions, maybe because of a minor illness or injury, simple unavailability of schedule, or also because of old age. When that time comes, it is best to have someone carry out transactions on behalf of the person. A limited power of attorney, just like in a contract, outlines the specific actions an agent or the attorney-in-fact can do in behalf of the principal (the person who named the agent). 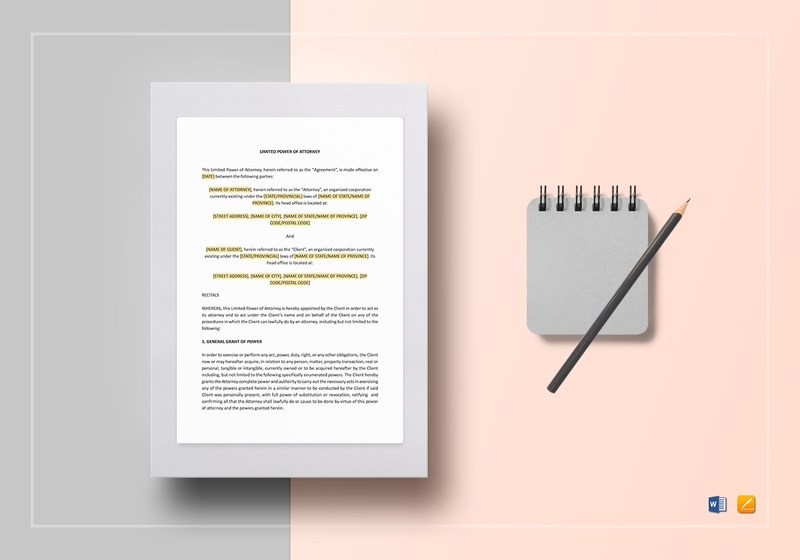 In this article, various limited power of attorney templates and examples are given along with informative descriptions. 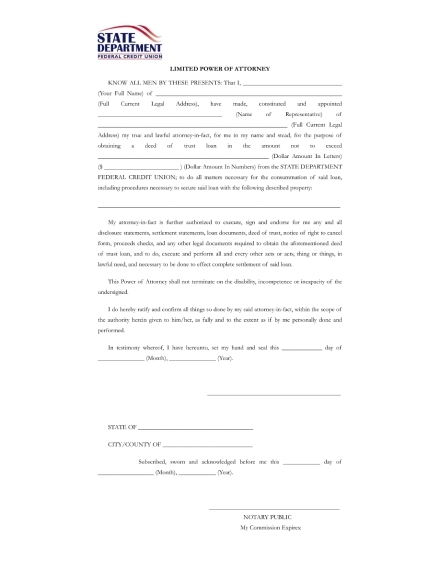 This is a standard limited power of attorney template that you can use for any specific purpose. This is easy to use since necessary information is already outlined. You can easily edit and tailor this template to the specific purpose it will be used for, and what specific action/s the agent can make. 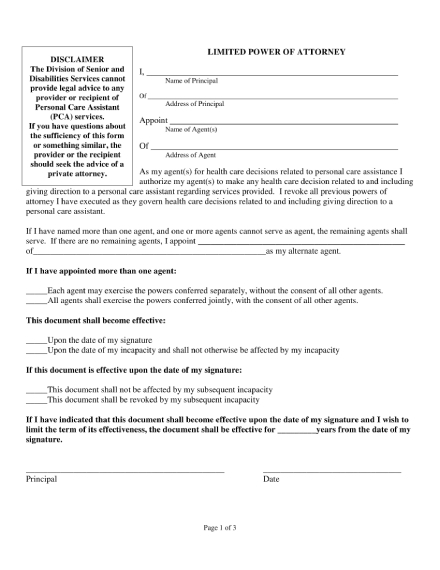 Should you be incapable to make decisions or carry out specific actions concerning your health care, you can use this health care limited power of attorney to identify the person who will act as your agent. 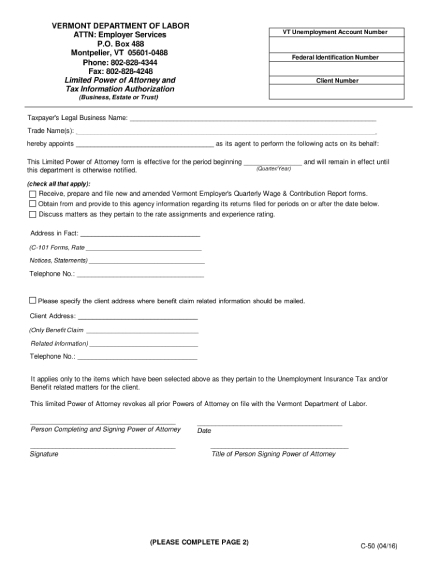 This will let the authorized body know of your decision to employ this person to act on behalf of you and give out his or her essential information. As a parent, you need to make sure that your child or children are well taken cared of when you’re not around. 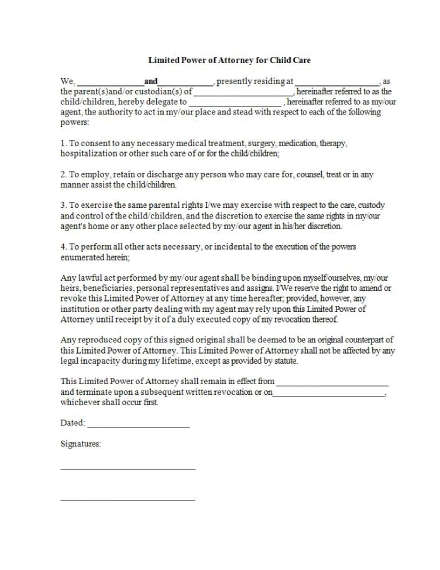 In this case, you can use this limited power of attorney for child care example to officially state the name of your agent and to outline the specific actions he or she is capable of doing in behalf of you. This template also allows you to state the date of effectivity of this document. Unlike other examples, this limited power of attorney for vehicle and watercraft transactions example directly discloses the number of days the agent has control over specific actions or decisions. Using this example will help you appoint an agent to carry out transactions regarding the certificate of title and/or registration. And since it has two parts of the same format, it ensures that you get to have an original copy of the document. 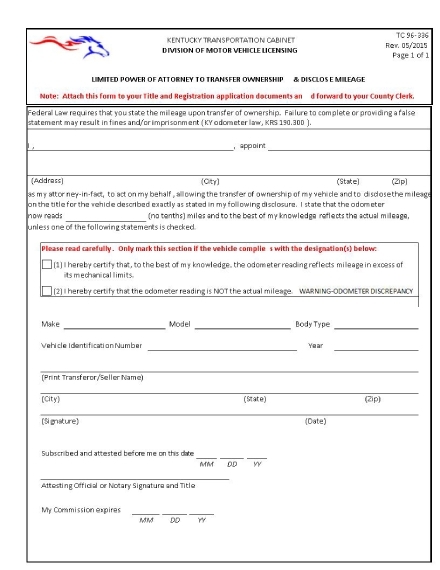 To allow an agent to transfer the ownership as well as disclose the mileage on the title of your vehicle you can use this template. This limited power of attorney will help you proceed with the transaction even though you are not physically present during the transaction. This example has been created by an official government agency and can be used when transacting with them. 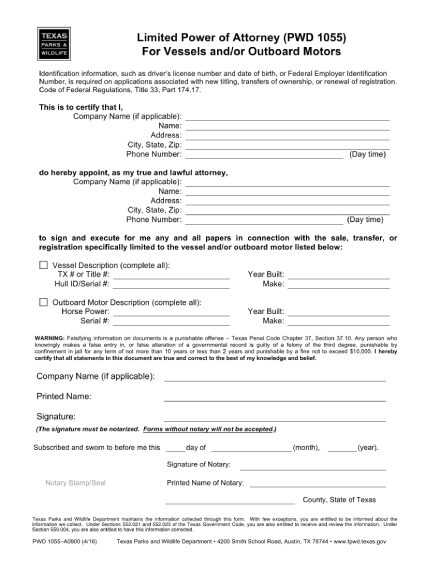 This limited power of attorney does not necessarily follow a three-paragraph format, instead, it somehow looks like a fillable form you can easily fill out to provide the necessary information. It clearly provides your information as the principal as well as that of the agent. This example is specifically created to be used for the sale, transfer, or registration of any vessel and/or outboard motors. 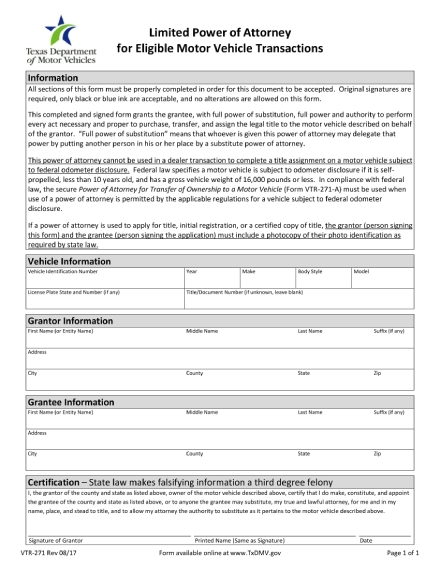 Vehicle information, grantor or principal information, as well as the agent or grantee information, are systematically separated in this limited power of attorney example. 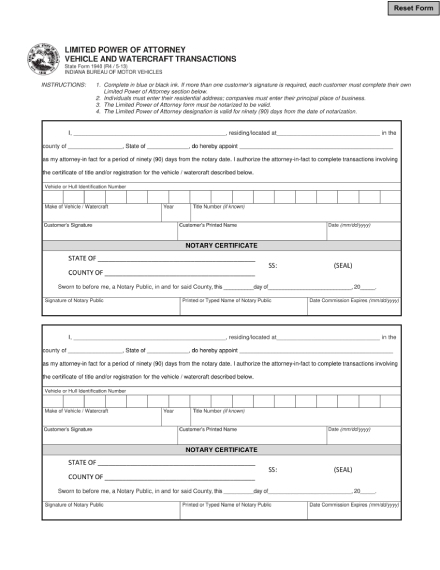 As stated, it requires the complete information and legitimate signature of those involved before this can be processed for the transaction of purchase, transfer, and/or assign the title of a motor vehicle. Handling tax-related transactions can be difficult, that’s why there is a need to appoint a qualified agent to perform certain actions when one is not capable to do so for a certain period of time. This limited power of attorney example officially appoints the attorney-in-fact to carry out specifically chosen actions based on the provided options. This simplicity of the format allows you to clearly provided all the required information. When applying for a loan it is necessary for you to actually be there to sign a few documents. However, should you be incapable to physically be there, you can assign an agent to act on behalf of you. This limited power of attorney for a deed of trust loan identifies your agent as well as the specific amount for the loan. This ensures that a capable representative is able to carry out the transaction for you. Building establishments mean a lot of paperwork, that’s why it is best to let your contractor take care of some of the transactions for you. 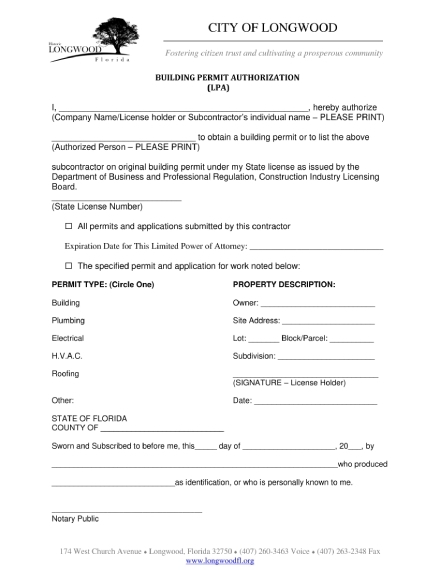 This example of a limited power of attorney for building permit authorizations appoints an agent, or the contractor, to act in behalf of you when obtaining a building permit. This includes information like the name of the contractor, license number, permit type, and so on. If you are in need of a limited power of attorney for specific reasons you can use or take inspiration from the templates and examples given in this article. Although some have been specifically made by offices and agencies, you can tailor the format specifically for your purpose. We hope we were able to provide useful information with regards to the limited power of attorney through the discussions in this article.